We are seeking an experienced legal practitioner to provide and coordinate legal services to the Council, the Chief Executive Officer and support the Governance Unit with governance matters. In this role you will provide a high standard of legal advice, interpret Acts and Regulations and advise on statutory compliance and legal responsibilities. You will be required to draft and review legal documents, advise on major Council projects and provide advice on governance and compliance matters as well as assist with drafting of Council’s local laws. You will supervise and support the legal services staff and support the Governance Unit to manage the delegations and authorisations register and provide advice, training and education on governance matters. This role requires that the successful applicant to develop a thorough understanding of the functions, responsibilities and longer term goals of the Council and the role of Legal services within the Governance Unit. You will have a high level of judgement and political sensitivity, highly developed research, analysis and writing skills and ability to apply innovative thinking to organisational problems. Applicants must have a relevant tertiary qualifications and admission to practice as an Australian Lawyer and hold a current unrestricted practising certificate from the Victorian Legal Services Board. 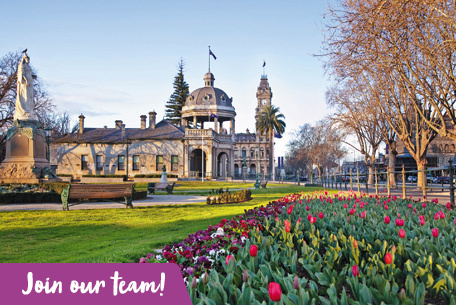 Relevant experience in a government department or statutory authority and an understanding of local government and the City of Greater Bendigo is preferred.